One tribal casino in Bernalillo, New Mexico has tested the legal limits of their Gaming Compact to offer sports wagering. The Tamaya Nation tribe has successfully launched sports gambling offers mid-October at their Santa Ana Star Casino just outside of Albuquerque, making New Mexico the sixth state to operate a sportsbook. However, the state has no legal sports betting bill pending or approved of by the Governor. Yet, due to the stipulations written within New Mexico’s Gaming Compact with the state tribes, the Tamaya Nation is not breaking any laws or their compact by offering sports gambling at the Santa Ana Star. The Santa Ana Star and other NM tribes are granted to operate under a Class III gaming license which allows full-fledged gambling capabilities including sports gambling. 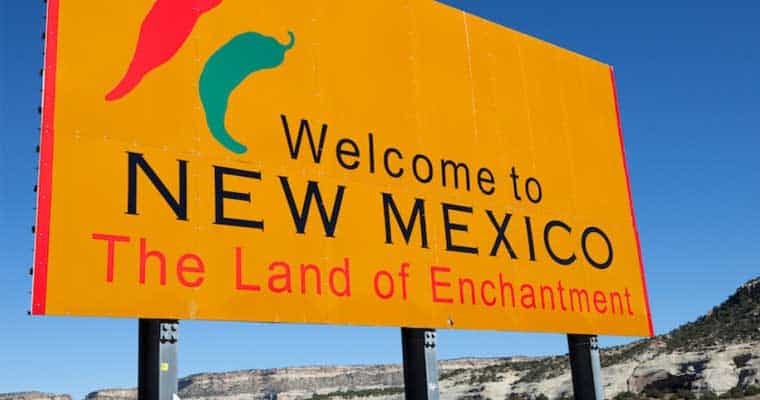 This was not a huge concern by New Mexico’s legislators as sports gambling was strictly prohibited outside of Nevada under the Professional Amateur Sports Protection Act, however, PASPA was repealed mid-2018. In New Mexico, online gambling and sports wagering are illegal under the Gaming Control Board’s jurisdiction outside of tribal reservations with Class III gaming. The Tamaya Nation is a tribe of roughly 500 members and a part of the Pueblo of Santa Ana which has lived in New Mexico since the 1500s. The Santa Ana Star Casino Hotel was built in 1993 and has offered traditional casino games such as dice and card games. The Santa Ana Star which began offering sports betting on October 16th is restricted to only offer betting on-site at their brick and mortar location. The Santa Ana Star Casino Hotel offers a 100,000 square foot gaming floor and opens its betting windows Monday through Friday from noon to 8 pm and on weekends opens as early as 7 am and stays open until 10 pm. The Santa Ana Star sportsbook is powered by USBookmaking, a sportsbook technology company which normally serves Nevada bookies. Santa Ana Star’s sportsbook offers wagering on NFL, NBA, MLB, and NCAA games, including local state-based collegiate sports. For sports fanatics, 24/7 self-service betting kiosks are available on the property grounds. The Santa Ana Star has currently placed low limits on bets and prohibited the sale of alcohol throughout its venue. While the state of New Mexico has no sports betting legislation in the works nor any control over tribal-run sports betting operations, legislators are determined to regulate sports gambling. Officials have been quoted saying they would like to implement guidelines to better protect players and make uniform standards. However, most speculate the state is attempting to find a way to gain tax revenue from tribal-run sports gambling operations in the most cost-effective manner after realizing not a dime of sports gambling revenue would go to local or state governments under current agreements.